I've had a lot of people ask if the new Chomas Creations adjustable holders work in the Cricut original, Create, Expression and Imagine and the answer is YES! 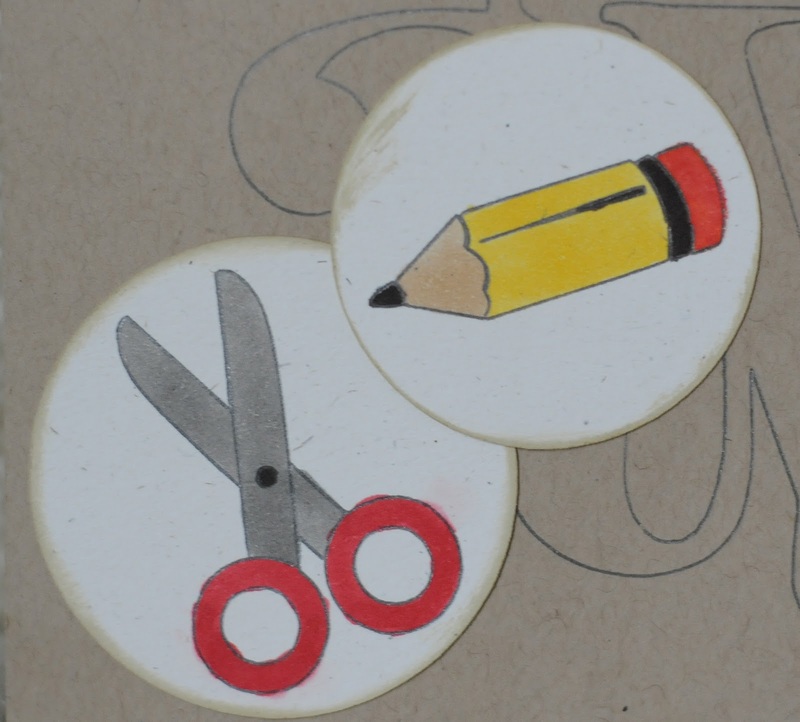 Of course you are going to have to find shorter pens, markers, even crayons or pencils, but they will work! Here is one of the Crayola Pip Squeak Skinnies in the Expression. They are a bit longer, so you will need to tighten the marker in the Chomas Creations adjustable marker holder, put the popcycle stick under where it will go into the blade holder, then tilt the marker a bit to get it under the lip of the Cricut and adjust the height of the marker so the tip is resting on the popcycle stick, this will give you the right height. 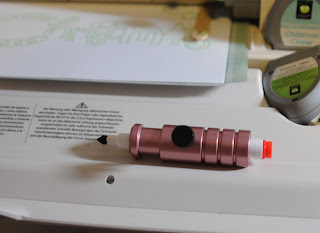 When using the Pip Squeaks, because they are a bit longer then the Chomas Creations mini gel pens, your design will have to remain 2 inches to the right of the lip I've shown below, it is on the left hand side of the Expression machine. 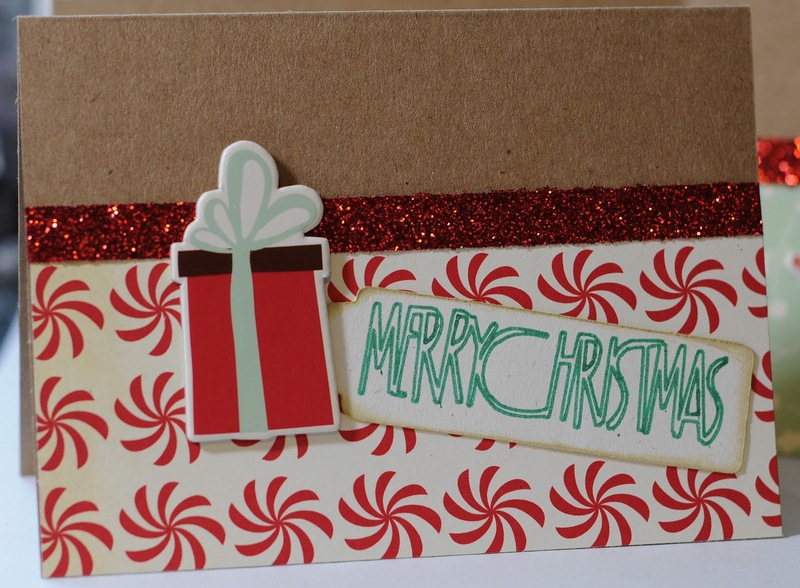 And here is the finished card! 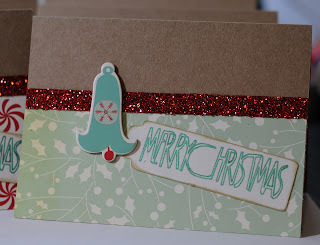 I used Christmas Cheer for the Merry Christmas sentiment and the card shape. 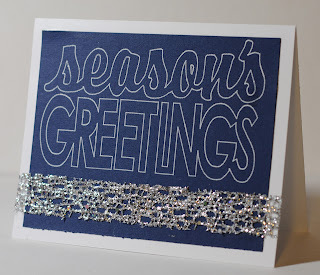 I used the Chomas Creations embossing tip to score the fold in the card. Black Friday, it's not a shopping experience, it is a sport, hehe! You need a game plan, you practice all year for it, and you need stamina for hours and hours! But online shopping makes it easier, and sometimes easy is good! So for just 24 hours use the coupon code blackfriday20 at check out to save 20% off your purchase of $50 or more in the Chomas Creations store! 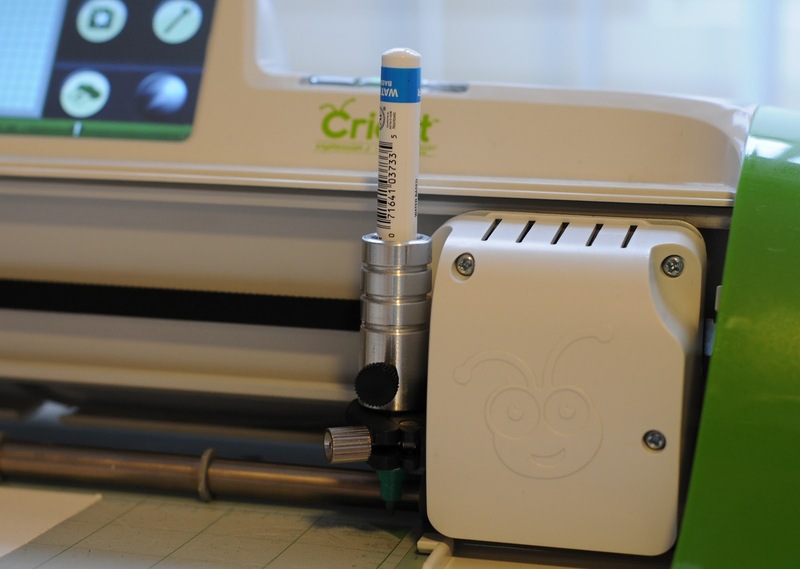 This also includes the brand new Chomas Creations adjustable pen and marker holders for the Cricut and Silhouette! Sorry this does not include prior purchases and the sale ends Saturday at midnight. Have fun! That is what it is lovingly referred to around our house! 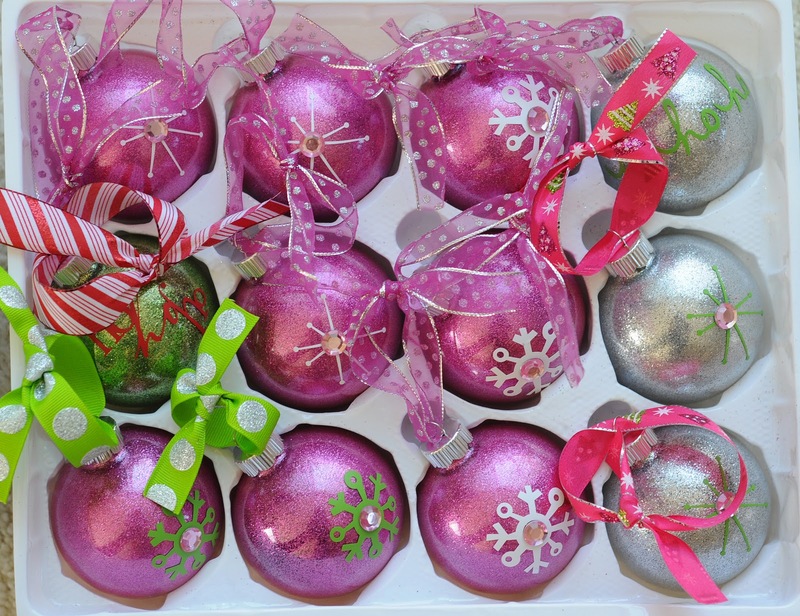 I found this pink tree at a great price and couldn't pass it up! 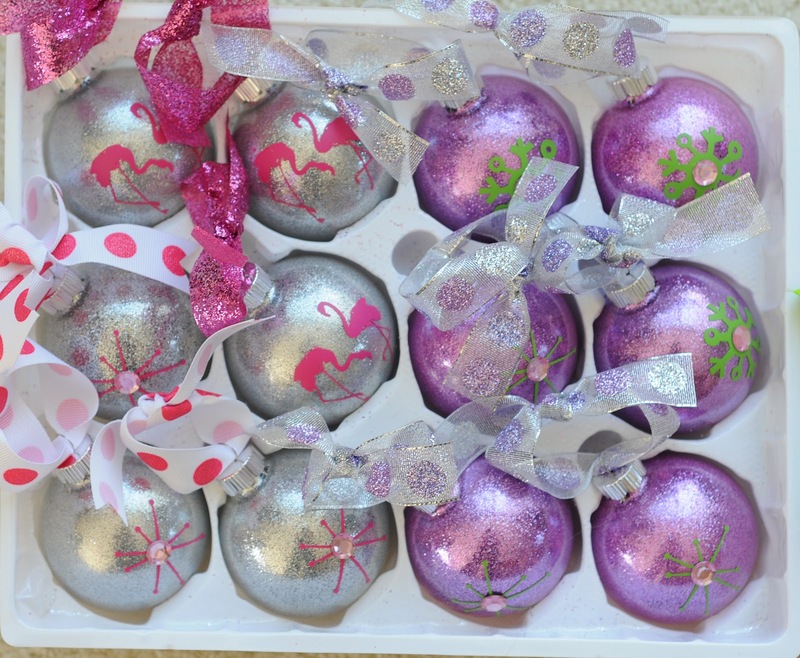 And I had some pretty glitter ornaments left over from the millions (ok, so maybe a little less then that hehe) I made that I added to the pink tree! I just thought this was too fun not to share with you! And the kids had a blast decorating it with me because it was just their height hehe! 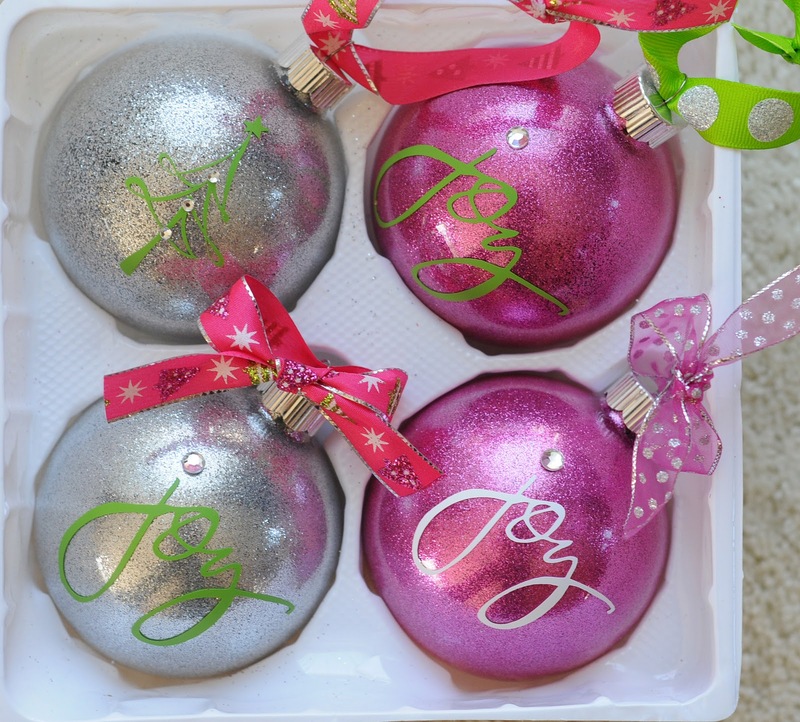 Now to find a pink tree skirt! 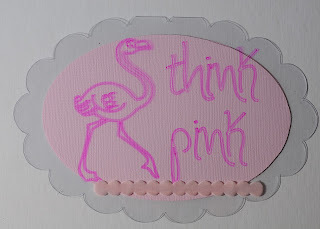 If there is one thing my mom loves, it is pink and pink flamingos, ok, 2, but they go hand and hand hehe! If you read my blog you probably already know this!!! 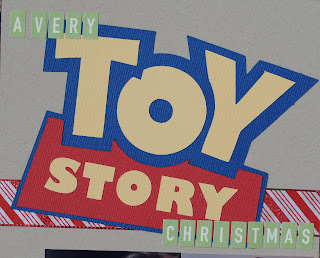 Also I have the winner picked for the Disney/Pixar blog hop, just scroll down! 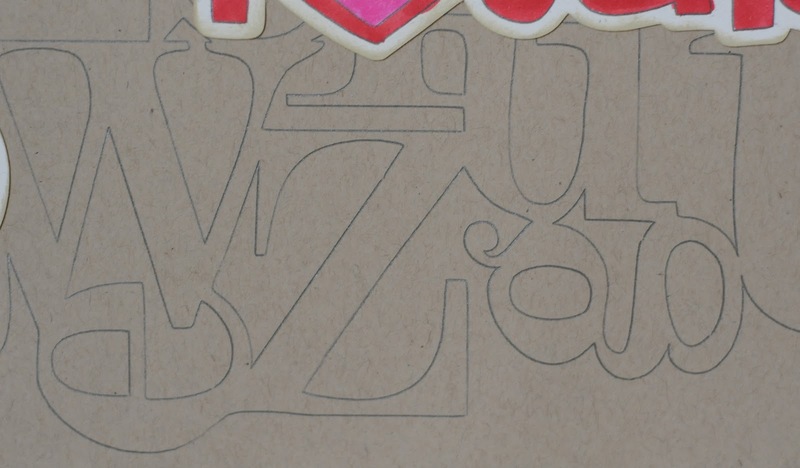 Now some of you may know I got the Cameo, and I found out I could use it with Sure Cuts a Lot, so I downloaded SCAL 3 (I didn't replace SCAL 2 on my computer, so I can still use that with my Cricut) and went to town! 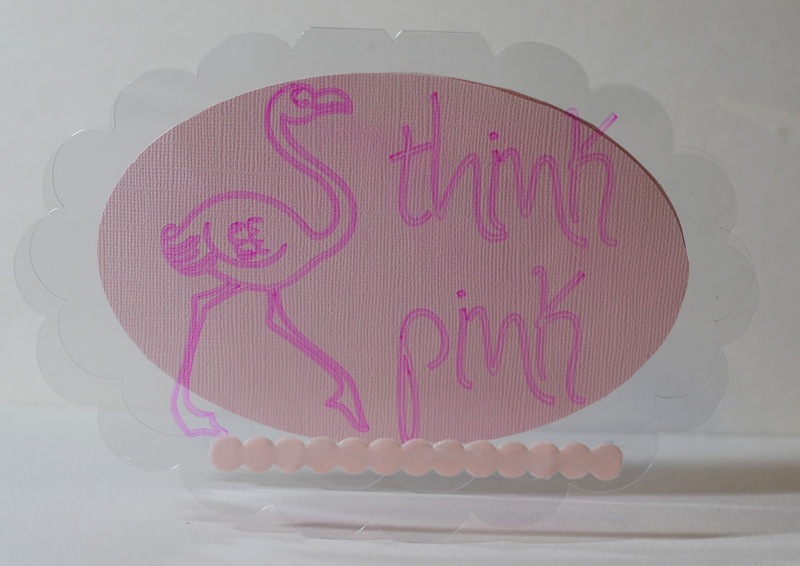 I had this pink flamingo image from awhile back for SCAL and gave it a go! 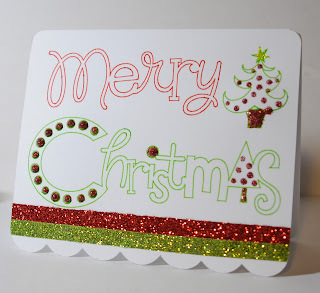 I used the Chomas Creations adjustable marker holder for the Silhouette/Cameo with a Bic Mark-It (these are permanent markers that come in fine tip and ultra fine tip & in so many pretty colors!) 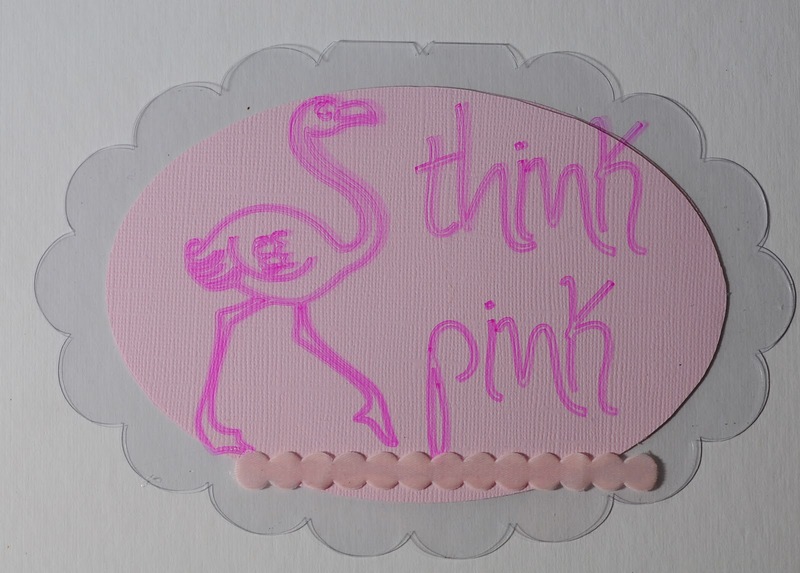 to draw the pink flamingo and think pink on clear cardstock (thicker then transparency, so it will stand up like a card should!) 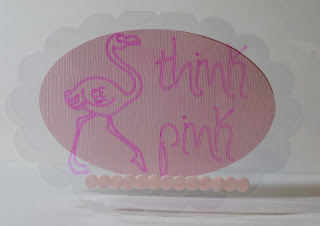 Then without taking the mat out of the Cameo, I cut the clear cardstock in a scallop pattern (I did have to cut twice to get all the way through). The top card shows the pink shadow from the front of the card that I drew on, it isn't really on the cardstock in back! Pretty cool, a pink shadow! I still have a sale going on in the Chomas Creations store when you enter the code toystory10 at checkout you can save 10% off your entire purchase! I'm going to email Jamie right now! Congrats girl! All of the Chomas Creations adjustable holders are in stock and shipping! Great news, I'm adhead of schedule! You won't hear that often from me with having to run a house hold of 4 kids (oh and that grown up kid I call my hubby hehe!) and a business from home! 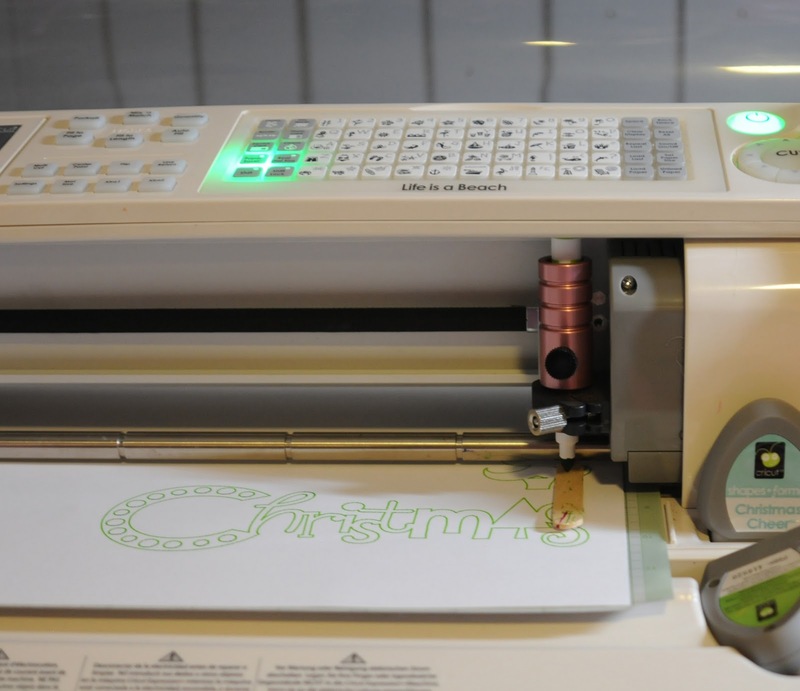 But today I packed all my orders for the new Chomas Creations adjustable holders for both the Cricut and Silhouette and they are all going out tomorrow USPS 1st class! 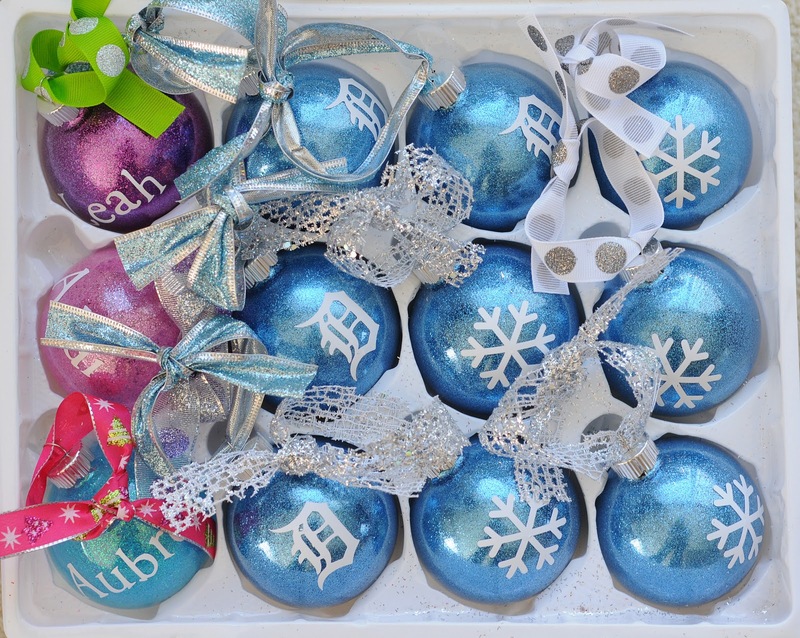 Some of you should get them before Thanksgiving, depending on how far you are from Michigan! 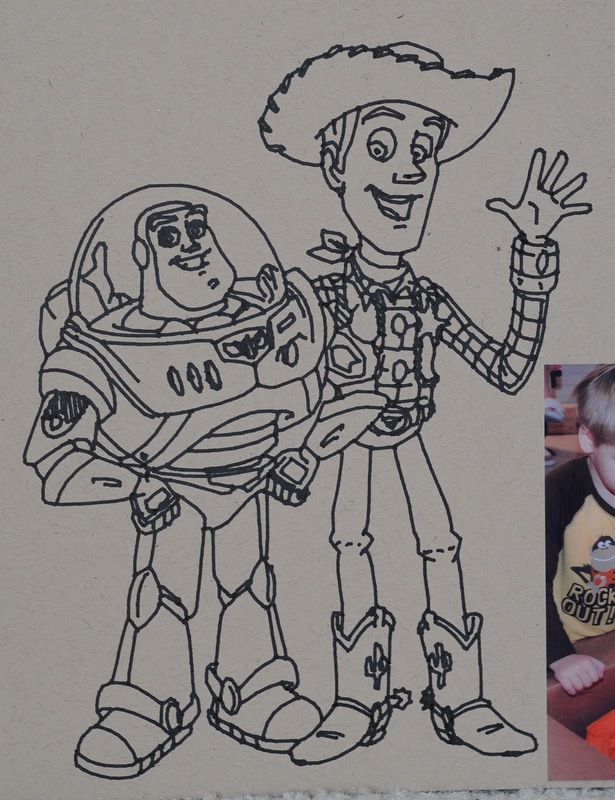 I'm so excited to be a part of another Disney/Pixar blog hop! This is a great bunch of ladies that always come up with amazing ideas to share with everyone! 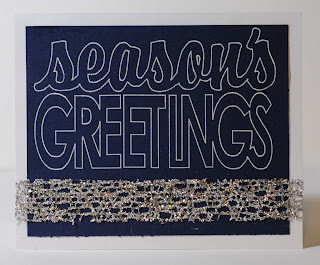 If you have come from Lori's blog Scrappin My Stress Away, you are in the right place! 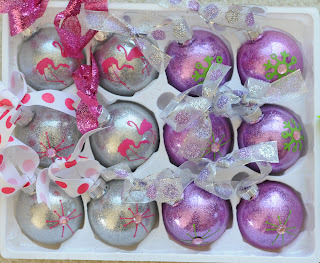 If you just stopped by my blog today and would like to start at the beginning of the hop, head over to Shawn's blog Crafty Chics. I have a lot to cover here for this blog hop, so stay with me!!! hehe! 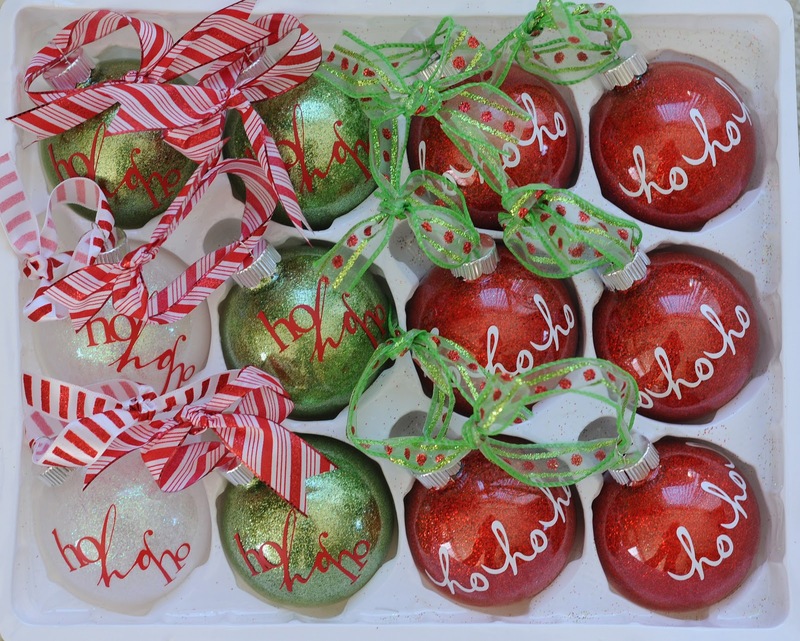 Being we are getting close to the holidays (eeeek!) 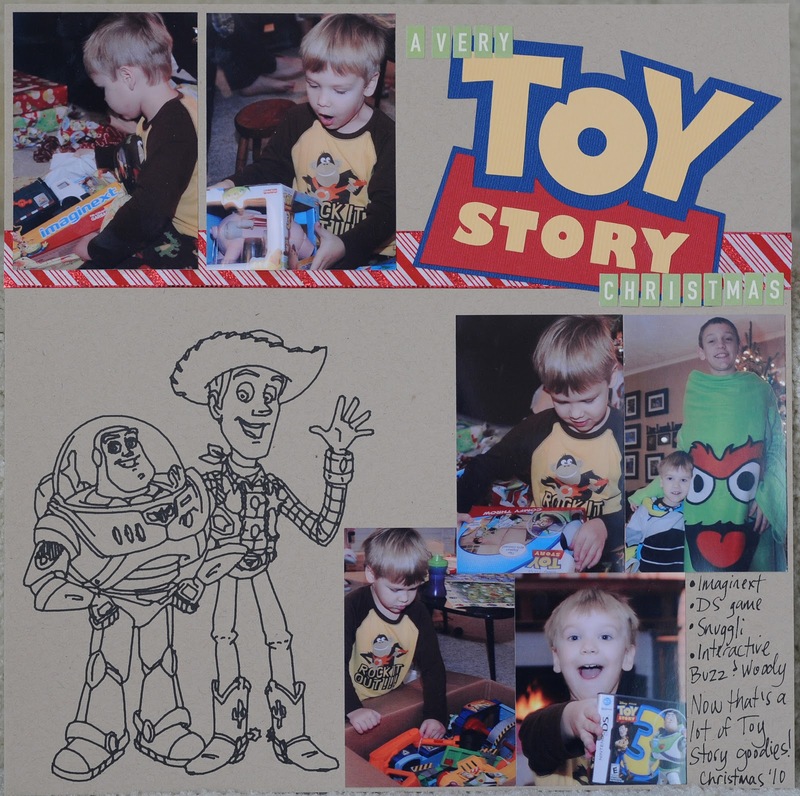 I wanted to work on a Christmas page for my youngest, who had a very Toy Story Christmas! He just loved the movie Toy Story, and really liked Buzz Lightyear, so we loaded him up with all the Toy Story goodies he asked for! Some of you may already know that I'm the Amy Chomas from Chomas Creations and we make MINI gel pen & Sharpie holders. Well that is about to change, well just the mini part! We now have adjustable pen & marker holders that hold a bunch of different pens and markers, how exciting is that? 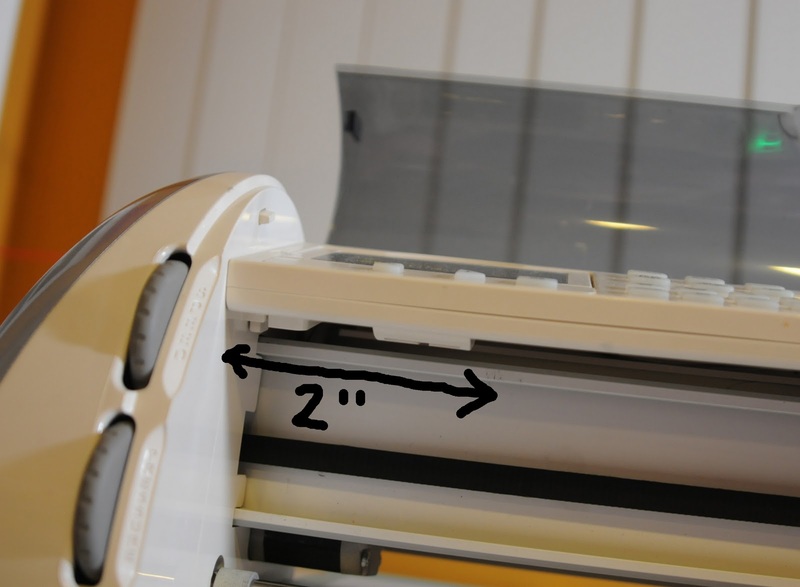 And no limit to height when you use the Silhouette, Cameo or Expression 2! 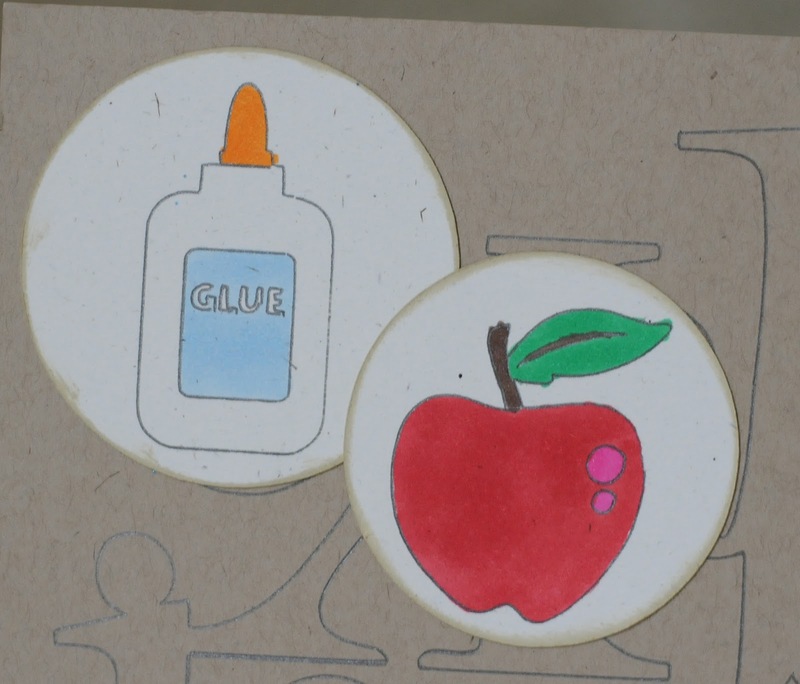 I know a lot of people want to use markers on their pages, but the Sharpie markers would bleed into cardstock, well bring on the Sharpie paint markers! 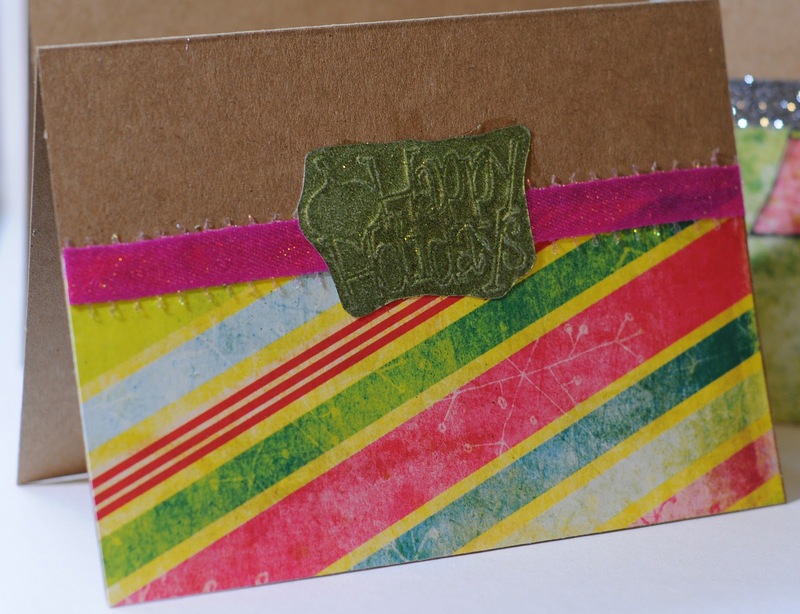 No bleeding into cardstock! I found this Toy Story coloring page online and used Make-the-Cut to trace it, then used the thin paths feature to get rid of the double lines. Then I used the Chomas Creations adjustable marker holder with the Sharpie paint marker to draw the image onto my background paper. Here is what the Sharpie paint markers look like in the Chomas Creations adjustable marker holder inside of the Cameo, of course I used black. 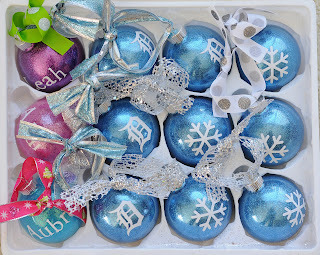 I found them so far at Michael's, JoAnns and Hobby Lobby. Turned out pretty cool, eh? I also used Make-the-Cut to trace the toy story title to add to my page. 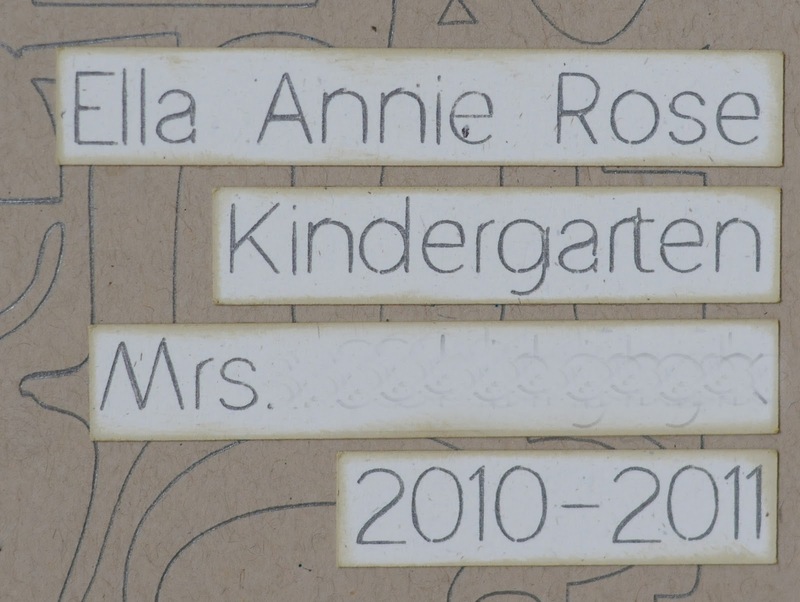 I added some small letter stickers to finish the title. 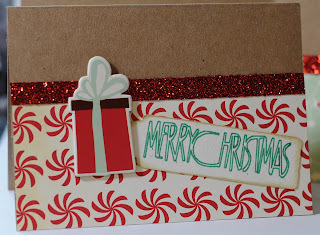 I added a few Christmas touches and my pictures to finish the page! You can see a video in action with the Chomas Creations adjustable pen holder for the Silhouette/Cameo here. 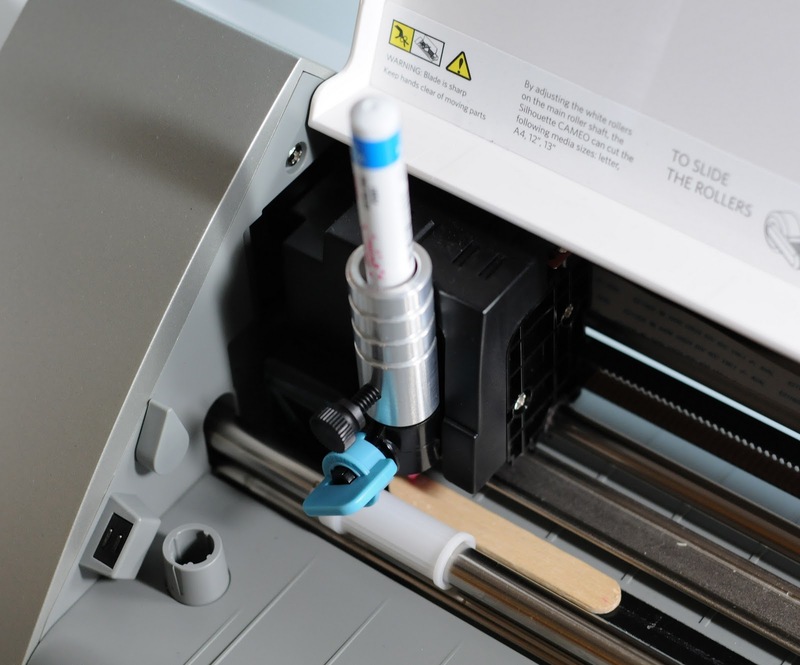 And you can see a video with the Chomas Creations adjustable pen holder for the Cricut Expression 2 here. 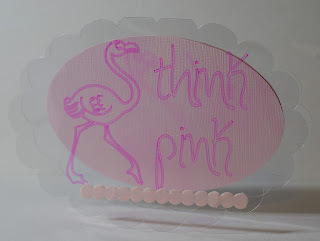 And if you want the chance to win your choice of a Chomas Creations mini gel pen holder or adjustable pen holder for your choice of the Cricut or Silhouette, make sure to leave a comment on this post and let me know what you have laying around the house that you would like to try in the new holder! 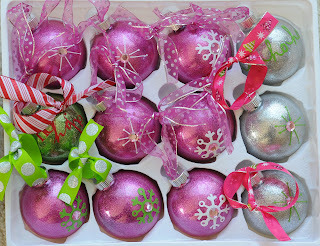 And you don't have to be a follower of my blog, but why not?? I will choose a winner using random.org on Monday November 21st. Make sure to only leave one comment and leave a way for me to contact you! You will have 1 week to contact me back or I will choose another winner! Your next stop on the hop is with Kathy's blog at Kathys Cozies. Hop on by! 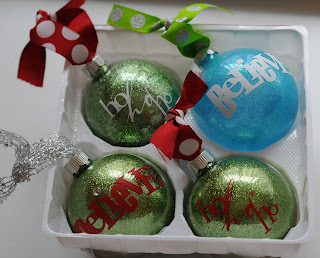 Don't forget to start wtih Shawn at Crafty Chics Blog for tomorrows to continue the Disney/Pixar blog hop and more fun! 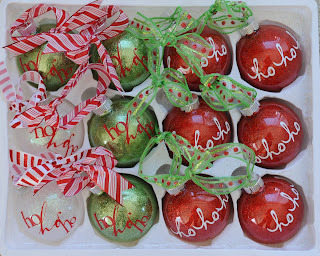 In case you get lost along the way of this blog hop, here is a list of all the blogs for day 1! 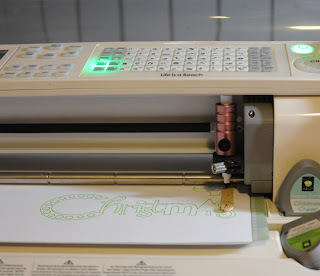 Well I had big plans today, involving Cricut Craft Room, and a cute design with the Chomas Creations adjustable pen holder and the Expression 2. 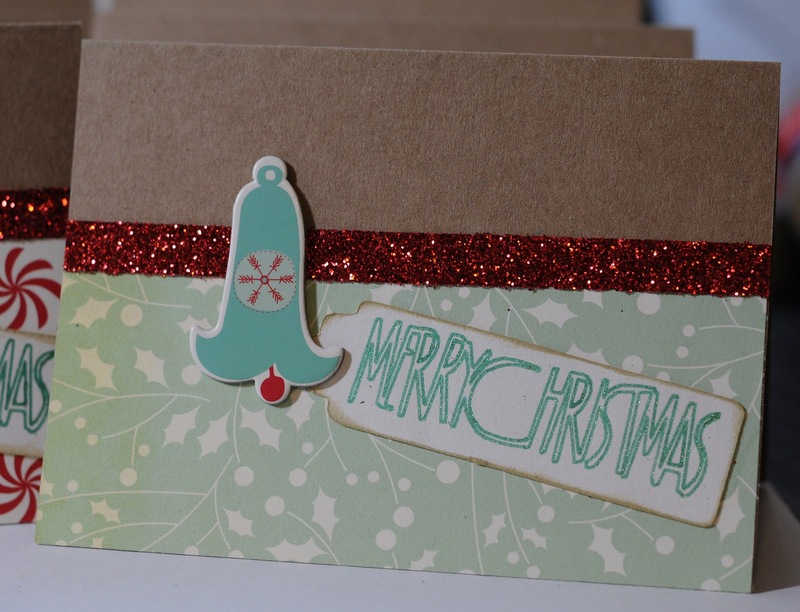 But after a lot of errors, I had to simplify this design, but I do like how it turned out! So here is the video a lot of you asked for, using the Chomas Creations adjustable pen holder and a white, full sized gel pen! Hope this gives you a better idea on how to use the holders! 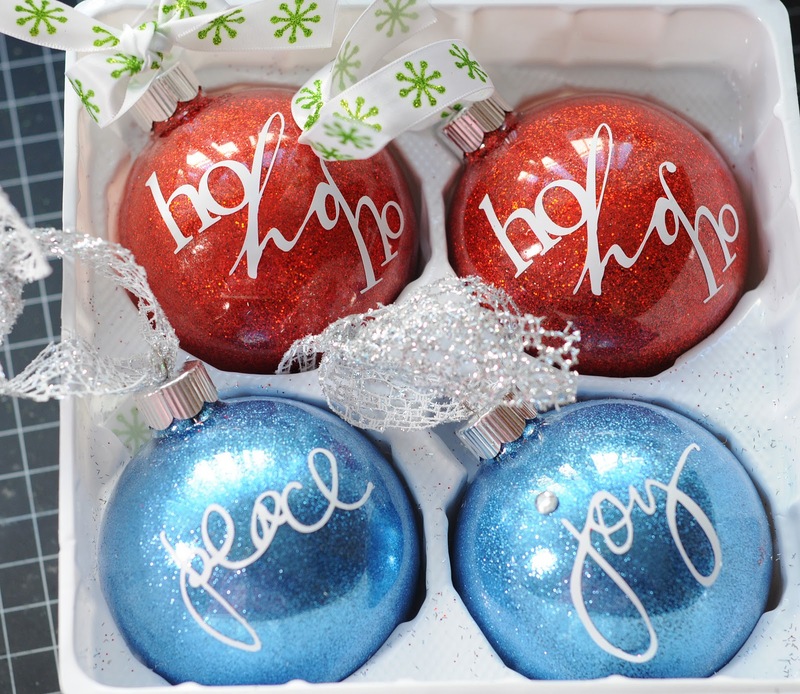 Don't forget there is a sale going on in the Chomas Creations store when you enter the code november10 at checkout you can save 10% off your entire order! 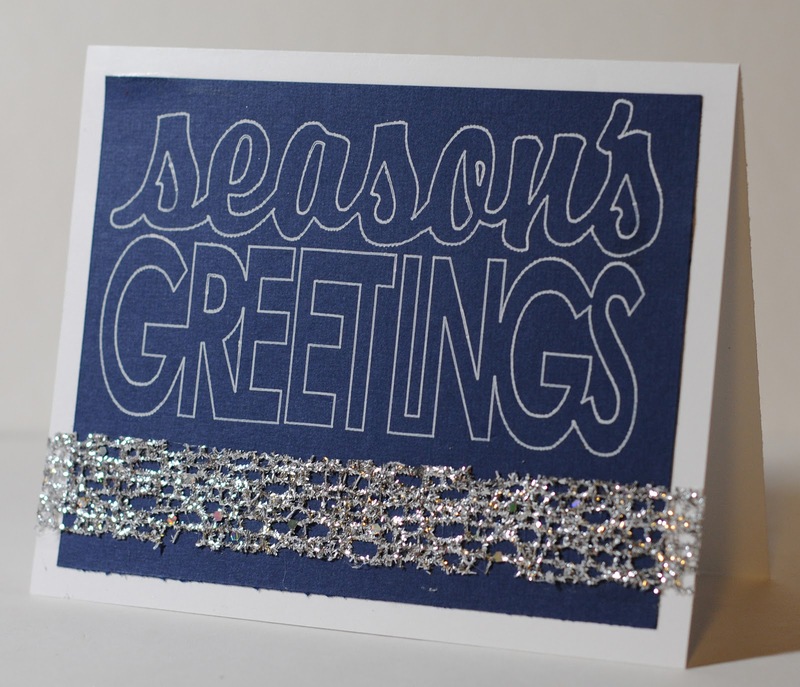 Here it the card I made using the Chomas Creations adjustable pen holder and the sentiment from Winter Woodland. Did I mention that the Chomas Creations mini gel pens still fit in the Chomas Creations adjustable pen holder? This can give you a cheaper variety of 20 different gel pens in metallic, pastel and glitter! And did I mention that the Chomas Creations adjustable pen holder does an amazing job with journaling in small fonts? Check this out! 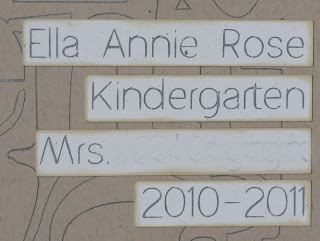 There are some fonts out there that look like single lined fonts that work great for journaling, this is called Altera. I also used the Chomas Creations adjustable pen holder to draw the title and goodies on this page, then colored them in with the Copic markers! And look, no smearing! Here is the finished page along with my daughter in kindergarten! 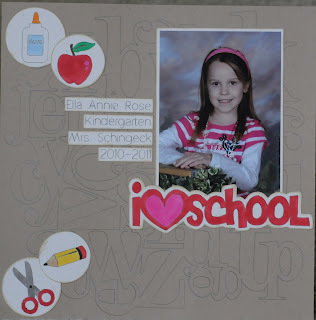 And she really does love school! I hope that love remains for lots of years to come! 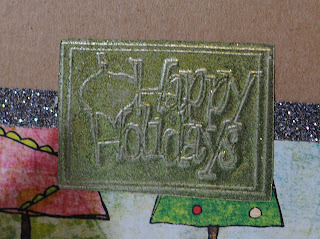 The other day when I was making Happy Holidays embossed designs with the Chomas Creations embossing kit on Ten Seconds Studios metal sheets, I did a bunch at the same time! 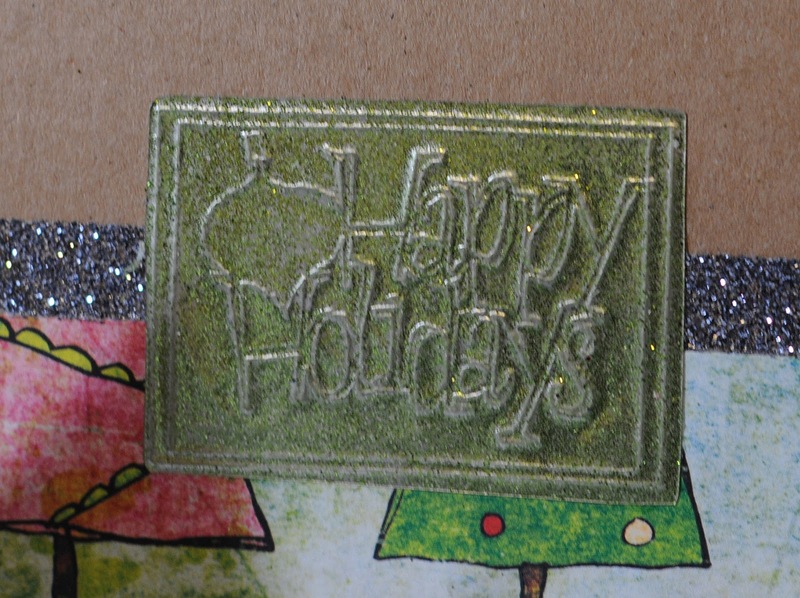 I added glitter to the raised image side that was embossed, then sanded off the raised image to make the design pop! 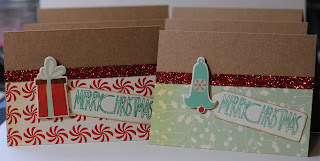 Here are some more cards that look just a bit different then the last set I did! Because I had smaller scraps this time, I cut the paper into smaller pieces and got more cards out of it! The biggest problem with Sharpie markers is that they bleed into paper, well bring on the Sharpie paint markers! You can use them with any cardstock and they will not bleed! So I used the Sharpie paint markers in the Chomas Creations adjustable marker holder for the Expression 2. 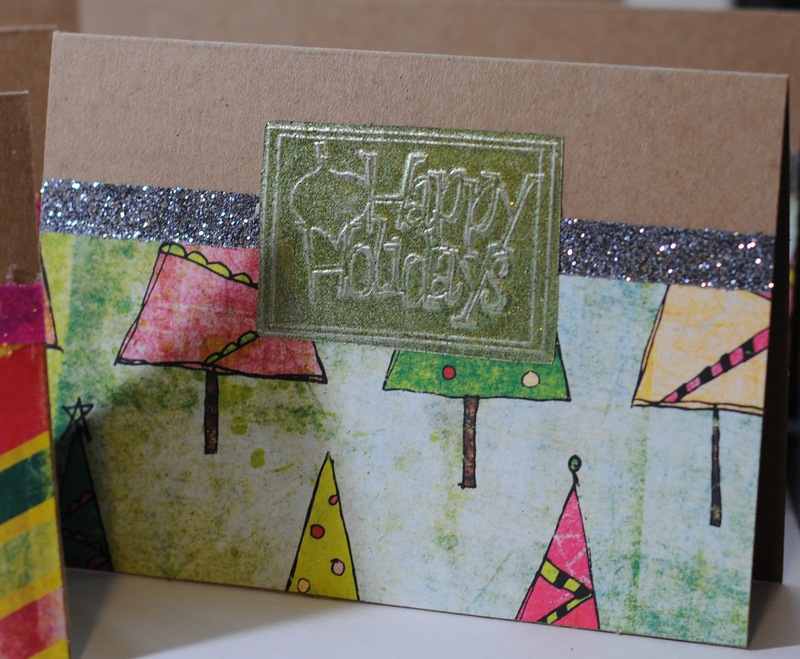 I used the Chomas Creations adjustable marker holder to draw the sentiment on the tags for these cards! And look, no bleeding! 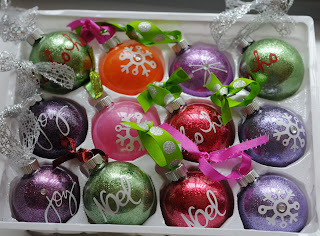 These were the glitter Sharpie paint markers. The papers and chipboard stickers on these is all from Cosmo Cricket. 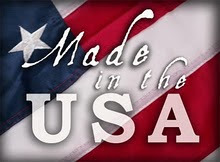 Don't forget the Veteran's Day sale is still going on in the Chomas Creations store when you use the coupon code veteran10 at checkout!